If you’ve been hanging around here for awhile, you might remember that last year I joined Jon Acuff’s Empty Shelf Challenge. The basic idea was to clear off one shelf and read enough books in 2014 to fill it. It was a fun challenge. An exciting one. I read from all kinds of genres. I read fluffy books (not my favorite) and challenging books and books that reached deep inside me. Yesterday I finished book 87 for the year. My goal was 100, but Stephen King and Luis Alberto Urrea write LONG books. They were worth it, though. I have always been a voracious reader. After having babies, though, I slowed down a bit. Not completely (reading is a bit of a recharge for me), but I just couldn’t find as much time to read. The past few years I’ve been rebuilding my reading life. 2014 just happened to be the year I regained my reading muscle tone. I learned a few things this year, while reading like a maniac. Here are a few of them. 1. I’m an introvert. I like people, I do. And I like to hang out with some of them. But afterward, I need to recharge. Reading and writing are my ways to do that. Also, when I’m reading in public, people tend to respect my space…not so much when I’m writing. Funny, huh? 2. Reading in the van is awesome. My college professor told us over and over that reading in the car was as close to perfect as it got. You could adjust the seat, heat, lighting…and you’re locked inside, so no one can bother you. This year, sitting in the line to pick up my kids from school, I learned that he was absolutely correct. 3. When I read high quality books, I write better. Let’s just admit it: Some books are high quality and some are not. I read a little from both groups this year. When I read the better written books, my writing reflected it. So, I’ve learned that, for my own writing’s sake, I need to focus my reading time on books that make me a better writer. I’m giving myself permission to be pickier about what I read. 4. I have some friends who can WRITE! This year I had the privilege of reading several books written by my buddies. I’m not going to name them here (it’s just too hard to name them all). I am fortunate enough to have some buddies who aren’t just good to me, they’re also good to their readers. 5. I want to do this again in 2015. Jon Acuff was onto something when he put out this challenge. I’m glad he did it. I don’t know how many people followed through, but I bet the ones who did are celebrating their accomplishment. Later today, I’m going to clear off a shelf to fill with the books I read next year. I don’t think I could tell you what the “Best Book” I read was. There were too many varieties to choose one. Apples to oranges to bananas. But I read some fantastic books. I plan to write up a list of highlights at some point. I want to wish you all a Happy New Year! 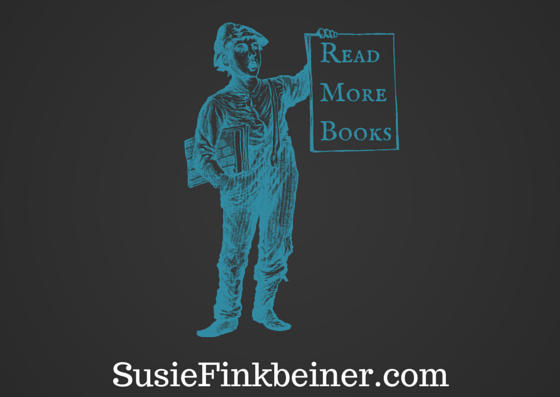 And I also would love to encourage you to resolve this year to read more. Trust me, it opens the world to you in ways you might never imagine. Read on, my friends. Dust off those books you’ve been meaning to read and crack them open. You can thank me later. 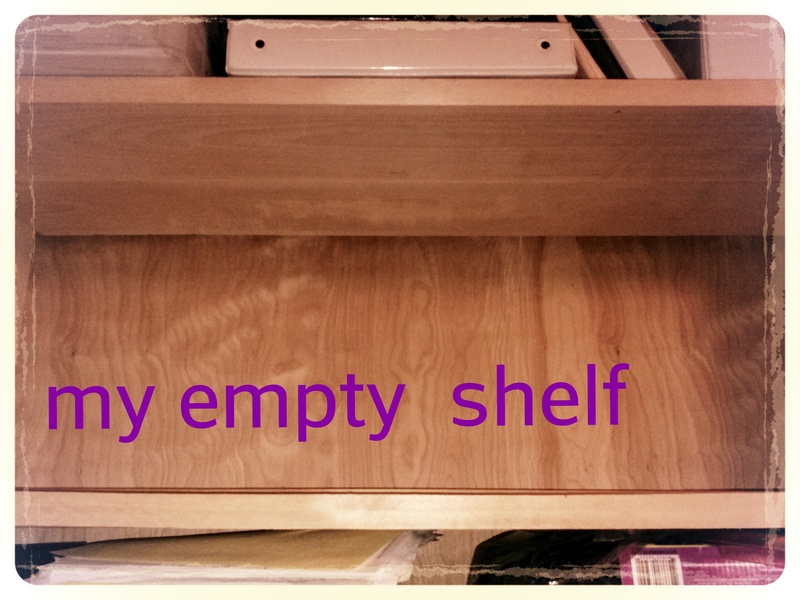 Oh, girlfriend, if only I could find an empty shelf! My shelves are all overflowing with books to be read, and the books that have been read are stored in boxes. My sewing room has been taken over by the books I have read, and numerous stacks of books to be read. As soon as I read one book 3 more come in the mail, and I’m afraid that I will never catch up. I’m also a voracious reader. I think I hit 105 books this year, which surprises me because I have been so incredibly busy helping my daughter with my grandloves. I’ll be spending New Years Eve reading and enjoying! Happy New Year and keep up the great job of both reading and writing! I’m happy that we can support each other in this great habit! Oh Susie that is wonderful that you read so many books! I tried to but my number was very low and I’m embarrassed to say it. But it’s much more than I usually do! So I’m going to try again for 2015. I think it is very true that the more you read it makes you a better writer! I always told my first and second graders that-“the more you read the more you can write, and the more you write, the more you can read! They go together like peanut butter and jelly!” Now I need to do it more myself! I want to write and read a lot more this year! Thanks for the inspiration! Blessings on your New Year!! Don’t you dare be embarrassed, Myrna! You read. You wrote. That’s that. I say you reach around and pat that back of yours. You accomplished something! Congratulations! And I love that you taught the kids that! Such important things for kids to know! Here all along I thought the challenge was to clear a shelf by reading every TBR book on it. I didn’t do nearly as well as you, but I read a couple terrific books this year. P.S. I actually read more than two books, but two were so memorable I bought them and gave them as gifts. I need to know which two books you found so memorable. I’m always up for a good book recommendation!